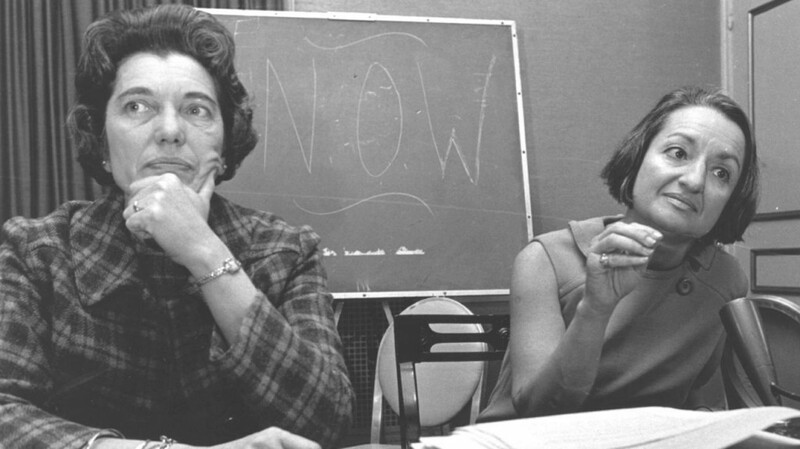 Betty Friedan, right, and Kathryn F. Clarenbach of the University of Wisconsin at the second annual National Organization for Women (NOW) in Washington D.C. in 1967. When I was in my teens, a neighborhood woman with whom I was friendly, handed me Ms. Friedan’s book and said “Here you read it, it’s too late for me.” I did and Ms. Friedan’s words have been a guiding force throughout my life. In feminist studies classes, at parties, in church, as a teacher, in any part of my life, I have spoken out for feminism. Only now, upon reading Ms. Friedan’s obituary in the Boston Globe, did I realize how much I had internalized Ms. Friedan’s beliefs and I quote “It seemed to me that men weren’t really the enemy – they were fellow victims, suffering from an outmoded masculine mystique that made them feel unnecessarily inadequate.” I tell my students that feminism benefits everyone and allows people to be fully human. My words allowed me to share my definition of feminism on NPR during their radio tribute to Ms. Friedan. To me, a feminist is a person who embraces all aspects of his or her humanity. Feminism frees men and women to be whole people. It is sad that today “feminist” often has a negative connotation, since feminism’s efforts have destabilized the culturally limited interpretations of gender and race resulting in a more welcoming society. Margaret Fuller’s “Woman in the Nineteenth Century” is considered the first major feminist work in the United States. In the 1830s, Margaret Fuller, a member of the Transcendentalist Movement, wrote for The Dial that, “male and female represent the two sides of the great radical dualism. But, in fact, they are perpetually passing into one another. Fluid hardens to solid, solid rushes to fluid. There is no wholly masculine man, no purely feminine woman.” Crushed under the weight of restrictions on education, movement, clothing, and relationships, male and female feminists demand change. How much energy is wasted when women or persons of color are repressed, threatened, denied, or owned by others? Why is female equality viewed as so threatening? Margaret Fuller presaged the words of Betty Friedan in this same Dial essay saying, “many women are considering within themselves what they need that they have not, and what they can have, if they find they need it.” When Friedan wrote in 1963, “the problem lay buried, unspoken, for many years in the minds of American women. It was a strange stirring, a sense of dissatisfaction……Is this all?” she reflected Murray’s sentiments of woman’s “want of a cultivated mind.” While these women represented the frustrations of educated, privileged, and white women, movements are often started by people with little time or finances to pursue matters of the intellect and heart. Embracing its original trajectory however, feminism has expanded and welcomed inclusiveness over the centuries. Feminism’s goal is for women and men to achieve equality—living into a world that eradicates discrimination and poverty. Why is it acceptable that 51% of America’s children now live below the poverty line? Not everyone wants to be a CEO, but paying men and women an equal and living wage demands a feminist level of respect for humanity. 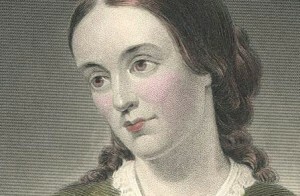 Margaret Fuller observed that “what woman needs is not as a woman to act or rule, but as a nature to grow, as an intellect to discern, as a soul to live freely, and unimpeded to unfold such powers as were given her…” Poverty would not thrive if a woman’s wages and contributions to the economy reflected her value.